The disk is very small andt is white or gray in color, circular in shape, and covered with scales. The arms are relatively short and thin. 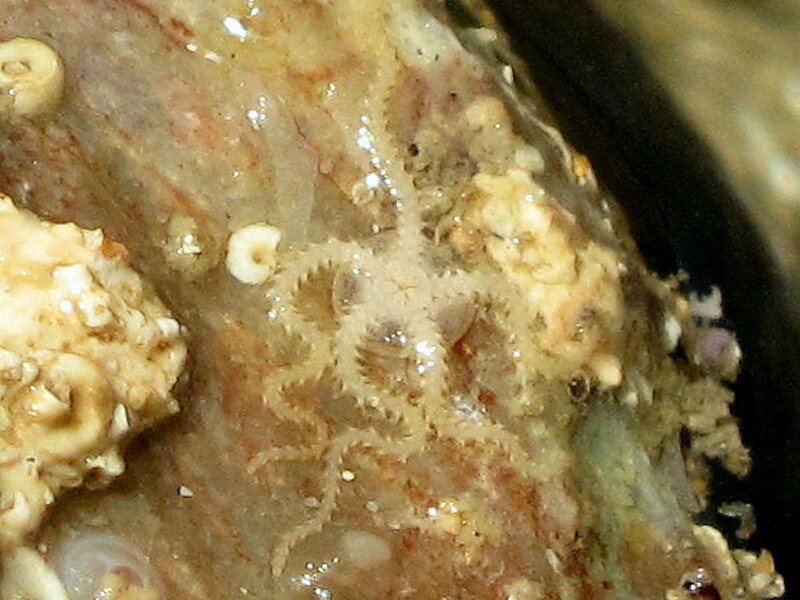 The radial plates are half-moon shaped and conspicuous. Dwarf brittle stars come in a range of colors from orange, dark brown or beige to black and gray. Previously these color varieties were thought to belong to sibling species, but genetic analyses do not support this hypothesis.